Geneva (AFP) - Nearly one billion dollars is needed to fight the Ebola outbreak raging in west Africa, the United Nations said Tuesday, while Washington pledged 3,000 troops to try to "turn the tide" of the epidemic. UN humanitarian chief Valerie Amos, warning that the virus could infect 20,000 people by the end of the year, said it posed a "huge funding challenge". "If not dealt with effectively now, Ebola could become a major humanitarian crisis in countries currently affected," she told reporters in Geneva. The capacity of worst-hit Guinea, Sierra Leone and Liberia to provide even the most basic necessities is "on the brink of collapse", she warned. US President Barack Obama was set to outline an assistance strategy on Tuesday, including the deployment of 3,000 US military personnel and plans to train up to 500 health care providers per week in Liberia. The United Nations said the response to the crisis would require $987.8 million (763 million euros), with about half needed for the most affected country, Liberia. Shortly after, the World Bank approved a $105 million grant, part of a $200 million pledge made in early August aimed at helping people cope with the economic impact of the crisis and strengthening public health systems. "The world needs to do much, much more to respond to the Ebola crisis in these three countries," World Bank President Jim Yong Kim said in a statement. The announcements came amid mounting global alarm over the worst-ever Ebola epidemic, which by Friday had claimed 2,461 lives out of 4,985 cases, according to fresh numbers from the World Health Organization. Guinea said Tuesday it was postponing its Independence Day celebrations -- due on October 2 -- until some point in December. 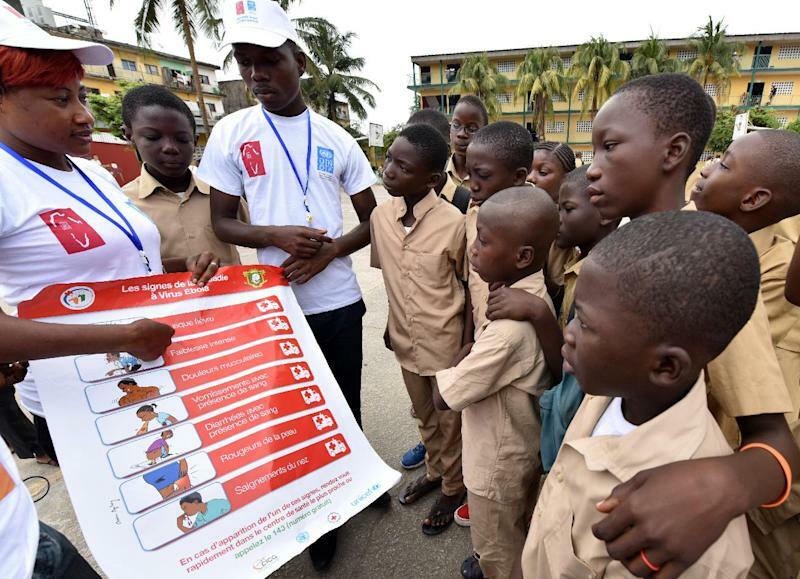 The UN document estimates that by year-end Guinea will account for 16 percent of infections, compared with 34 percent in Sierra Leone and 40 percent in Liberia. If the international community and affected countries respond swiftly and energetically, transmission should begin to slow by the end of the year and halt by mid-2015, it said. "The level of surge we need to do is unprecedented. 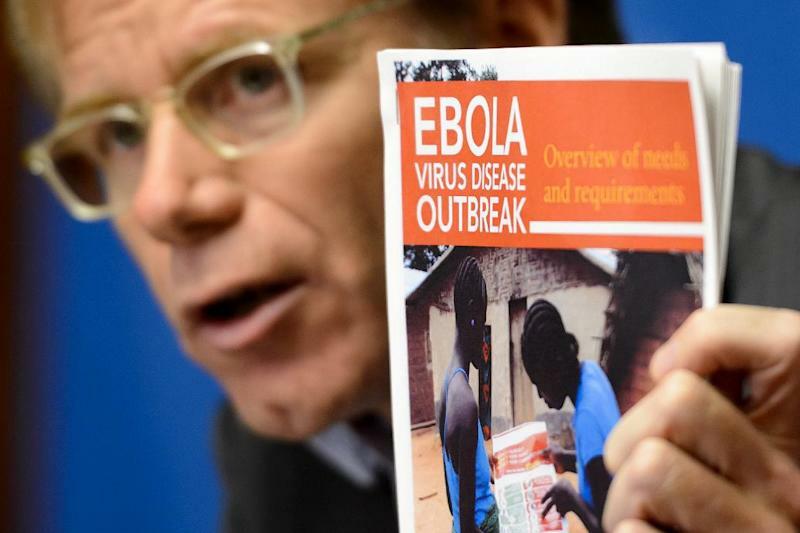 It is massive," the United Nations' Ebola coordinator David Nabarro told reporters. China will send a 59-person mobile laboratory team from its Centre for Disease Control to Sierra Leone, including epidemiologists, clinicians and nurses -- bringing the number of Chinese medics in the country to 174, the WHO said Tuesday. The EU, Britain, France and Cuba have also pledged to send medical teams and other aid to the region. But this is far from enough, warned Joanne Liu, head of the Doctors Without Borders (MSF) charity. 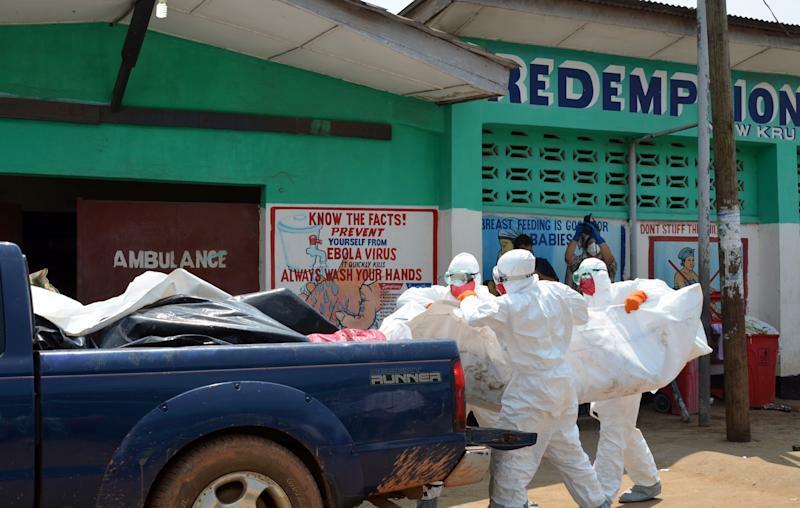 Noting that the known Ebola toll "represents only a fraction of the real number," she stressed that "the ground response remains totally and lethally inadequate." "The window of opportunity to contain this outbreak is closing," she told Tuesday's meeting of UN agencies, member states and other actors involved in the Ebola fight. WHO emergency chief Bruce Aylward agreed. "This health crisis we face is unparallelled in modern times. We don't know where the numbers are going." He stressed the difficulty of estimating infection and death rates. "The numbers can be kept in the tens of thousands, but that is going to require a much faster escalation of the response if we're to beat the escalation of the virus," he said. Liu meanwhile warned that Ebola was affecting far more than the people infected with the disease. "While thousands have died of Ebola, many more are dying from easily treatable conditions and diseases because health centres no longer function," she said. "States have a political and humanitarian responsibility to halt this mounting disaster," she said. "The clock is ticking." WHO said it would reconvene its emergency committee in Geneva this week to consider further measures, while the UN Security Council will hold an emergency session on Thursday to discuss ways to ramp up the global response. The Ebola virus can fell its victims within days, causing severe fever and muscle pain, weakness, vomiting and diarrhoea -- in some cases shutting down organs and causing unstoppable bleeding.